Click on program below to register. Emet's flagship learning program, the Emet Leaders Fellowship, is a twelve-week study program featuring small-group learning with a dedicated mentor. Our Fellowship motto is: If you want to represent the Jewish people, you must know what the Jewish people represent. The Emet fellowship program offers you this crucial background. Take advantage of this amazing opportunity to explore Judaism from the inside out by learning with one of our outstanding rabbis and teachers. 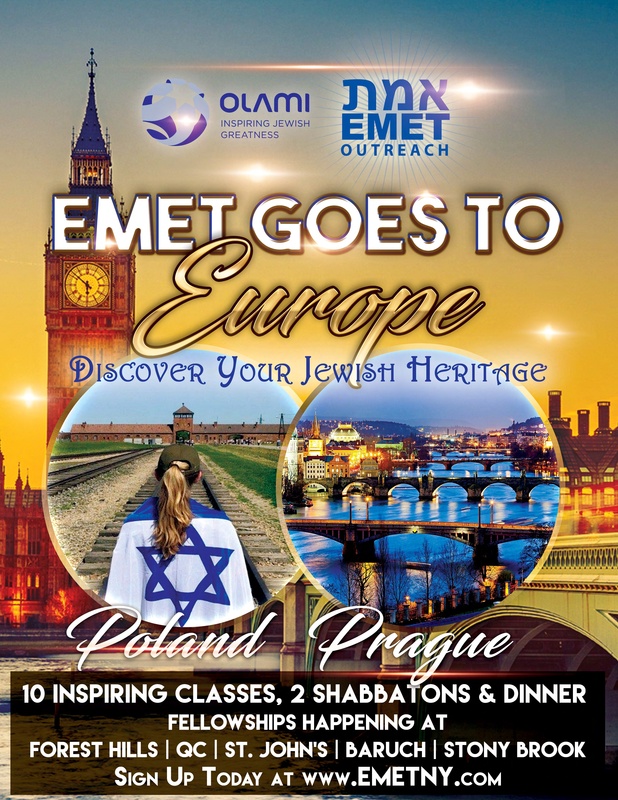 You will find Emet's Shabbatons, an integral part of our program, to be exactly what you are looking for: a beautiful blend of intellectual stimulation and emotional inspiration. Students who successfully complete the program have the opportunity to participate in Emets Israel experiences during the summer and college mid-winter breaks. 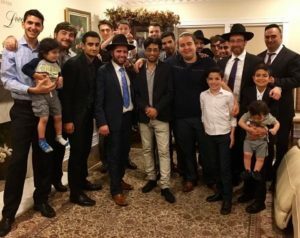 The Emet Fellowships meets each week at Queens College, St. Johns University, Long Island University, Hunter College, Baruch College and off-campus at the Beit Gavriel Community Center, located in the heart of Forest Hills. So simply choose the location that is right for you and click the link below for our quick, online application! • 6 alternate locations for your convenience! * Please inquire for further details.